Just like the bear sock plushie I made before, I bought some socks and made a round circle for the head and body (see the previous post here). I purchased these socks from Daiso for only $1.50 which is a really good deal. 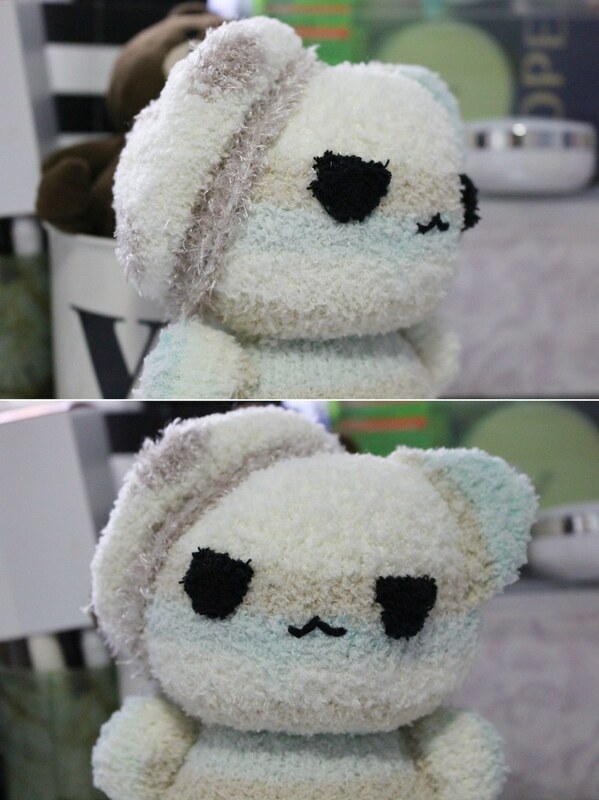 The difference with this plushie and the previous one is that the ears will be triangular and not circular. I didn’t stuff these ears and just sewed it on. Once I had the head, I cut out “U” shapes from a black sock and sewed it on as eyes. I wanted the cat to have a little more attitude and opted for non-circular eyes. The mouth was simply sewed on using embroidery thread. After the face was done, I could sew the head onto the body. Using the left over toe area of the sock, I sewed it together using a back stitch, flipped it back out, and created a tail. I thought he needed a little accessory so I made him a hat for the winter. From a leftover sock (used in this post), I cut out the top part of the sock in a rectangle and sewed closed the ends using a running stitch. Once I pull the threads tight together, the hat was completed. My mischievous kitty was now completed; now what should I name him??? I’m hoping to have a happy, playful year full of DIYs and adventures. Have a wonderful 2016! I genuinely meant this..you are so clever..I have these socks (in pink and cream) and I could never make the little plush you have made. Amazing Vicky…and they are SO cute. Hehe OMG she’s so cute 😀 ❤ Hahahaha your plushies are so adorable and cuddly! Haha yeah it is the Line bear in the background.